Bro. Dedrick Smith, center, was passed to Fellowcraft on Oct. 16, 2018 at Mt. 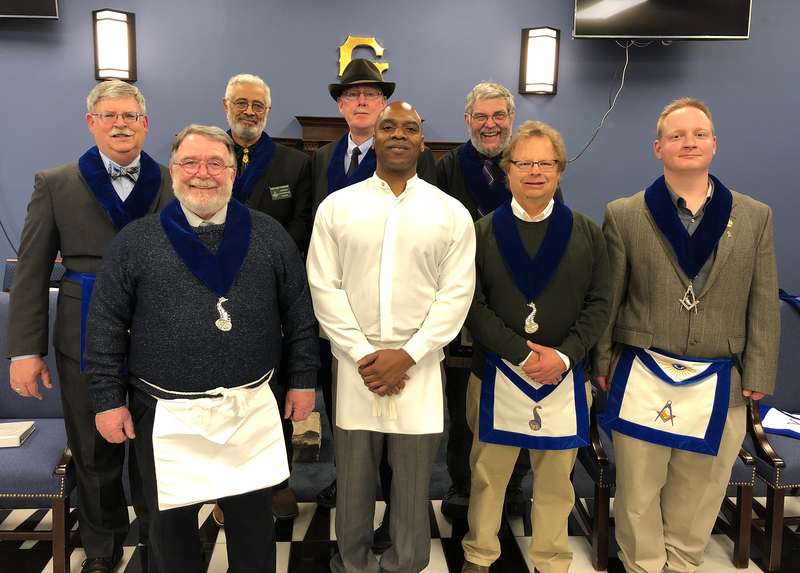 Juneau-gastineaux Lodge No. 21. V.W. Bro. Jim Robinson conferred the degree, W. Bro. Dan Logan delivered the Middle Chamber Lecture, W. Bro. Ken Vaughan delivered the ‘G’ Lecture and Bro. Richard Marshall delivered the Charge.